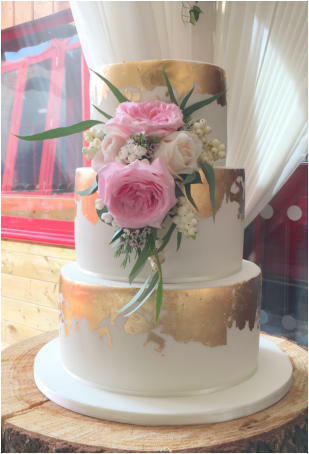 Located in Belfast and delivering all over Ireland, Barbie Bakes Cakes is a home based bakery that specialises in handcrafted and personally designed wedding cakes - all made from scratch using only the finest and freshest ingredients - and local produce where available! Barbie Bakes Cakes was established in 2015 after a love of baking for friends and family turned into an obsession! After 6 months of being in business I won the Cake Designer of the Year (Belfast) at the Northern Ireland Wedding Awards and nominated for Newcomer of the Year at the Wedding Journal Readers Awards. In 2018 I won a Gold Medal Award at the IFEX Salon Culinaire, Belfast and also won Wedding Cake Designer of the Year UK at the LTG Awards. If you are looking for a great tasting, amazing looking wedding cake, then get in touch! Barbie Bakes Cakes is an award winning Belfast based wedding cake business, delivering the finest wedding cakes throughout Ireland every week Insisting on using only the finest and freshest ingredients in her cakes and limiting the number of orders per week, Babs creates really tasty and beautifully presented hand crafted wedding cakes that will leave you with a wonderful memory of your special day! If you are a budding cake designer, or someone that just likes to decorate for a hobby but wants to increase your skill level, you can learn some new techniques and cake decorating tips on one of my classes. All tools and equipment are supplied for the classes and refreshments are included. Classes are limited in size, small and intimate, with a great atmosphere allowing for a learning experience where everyone is made to feel welcome and comfortable. No judgements are made on current skill level and cake decorating experience of all levels are catered for. I also run a Cake Pricing Class designed specifically for those that are currently selling cakes for profit or for those that are taking the leap from hobby baker to professional dream cake maker!! Wedding cakes made with love! Award winning wedding cake designer located in Belfast - delivering all over the country. 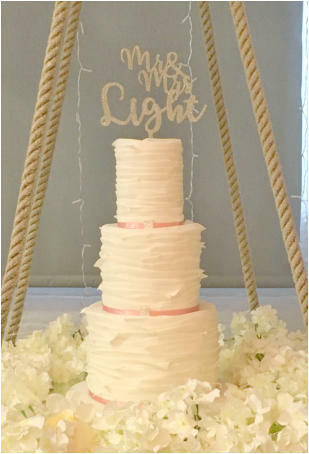 Wedding Cake Consultations Saturday 23rd March 2019 Crowne Plaza Hotel 10am - 7pm All other consultations take place Mon - Fri : 10am - 1pm, 7pm - 10pm at the following locations Crowne Plaza Hotel, Malone Lodge Hotel & The Ivanhoe Hotel To book a consultation, please get in touch and do include your wedding date to check my availability for your date! Consultations must be prebooked in advance. Wedding Cake Taster Boxes A box of my most popular flavours is available to purchase at any time. Check out the list of flavours available here Choose a box of 6 samples for £10 or a box of 12 for £20 Get in touch today to reserve your box coming soon: cake mail….order your taster box for delivery by mail to your house. Delivery charges apply.